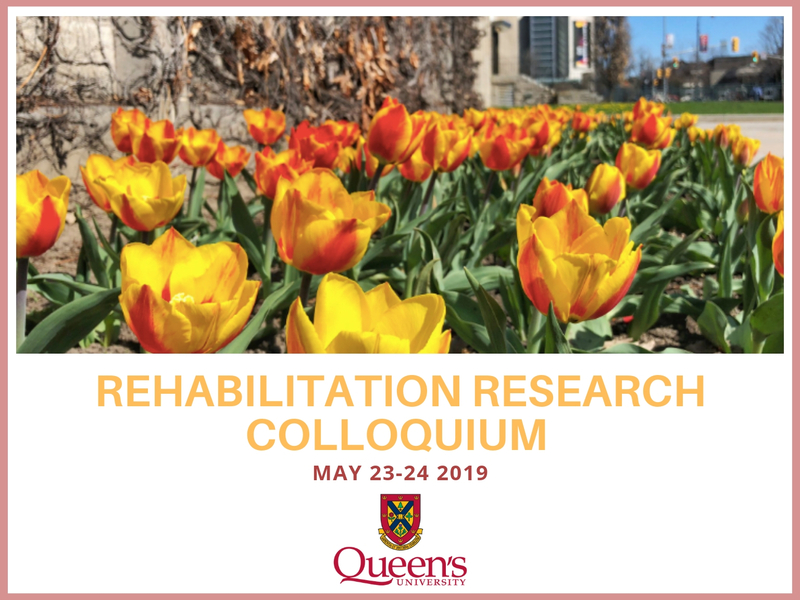 The aim of the Colloquium is to present the most recent research being conducted by graduate students in fields relating to rehabilitation science. The Colloquium is a student-run event that attracts national interest and participation, bridging connections amongst graduate students, post-doctoral fellows, researchers and clinicians from across Canada. 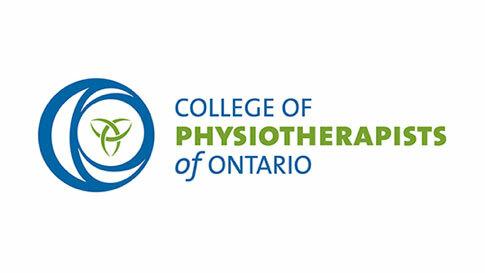 Presenters must be graduate students (MSc, PhD, MScPT, MScOT) or post-doctoral fellows enrolled in a graduate program in an area relating to rehabilitation science. The scientific program promises to provide a valuable learning opportunity and forum for the exchange of ideas among students, clinicians and research communities. This year’s theme is Rehabilitation Along the Continuum: Re-Thinking the Possibilities for Rehabilitation Science. We look forward to seeing you at Queen’s University in May 2019! Abstracts are 250 words or less. *See below for more details. Afterwhich, registration will be $60. Last day to register is May 17th. You can find Mitchell Hall outlined in red on this Campus Map. Price: Tickets will be sold separately of the registration fee for $15/person. This will include one drink ticket and a variety of hors d'heurves. REGISTRATION AND ONLINE PAYMENT Early DEADLINE, April 15th, 2019. 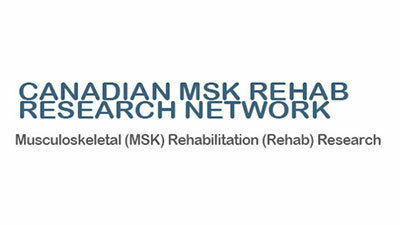 Graduate students (MSc, PhD, MScPT, MScOT), post-doctoral fellows, and healthcare professionals are invited to network, collaborate, and share their experiences in the field of rehabilitation science. Registration fee is $45 until April 15th. Late registration will be $60. Last day to register May 17th. Registration includes continental breakfast, refreshment breaks and lunch. 1) Initiate activation of your Shopify account from the email sent to you from the SRT online store. 2) After activating your account, click the link in your confirmation email sent to you by the SRT online store or click the link below to pay the registration fee. 3) After completion of payment, the next step is to fill in the online registration form. The link to this form will be in your confirmation email from the SRT store or in the SRT summary purchase page. For more detailed instructions please refer to this PDF. 1) Create an online Shopify account using the link below. 2) Once you created your account please close the new browser window that pops up. Go back to the SRT online store page or click the link above to sign in and complete payment for the conference. NOTE: Registering for the Colloquium does NOT sign you up to present at the Colloquium. You MUST complete the separate abstract submission process to present at the Colloquium. Please see our Abstract Submission information below for details. 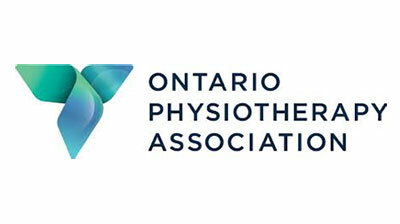 UPDATE: Late Breaking Abstracts Extended Deadline April 15th! Abstracts (250 words or less; not including title, authors, and section headings) must be submitted using our Online Form. The body of abstract should include the following subtitles in this order: Background, Objective(s), Methods, Results (if applicable), and Conclusions (if applicable). Abstracts can be written in French or English and should be attached as a Word document. Completed work, works-in-progress, and protocol submissions are welcomed. Abstracts should be attached as a Word document saves in the following format: lastname_firstname_abstract.doc. Please ensure you specify on the online submission form, whether you are submitting for an oral presentation, poster presentation, or would like to be considered for both. Abstracts submitted in any other format will NOT be accepted. Abstracts for oral presentation or poster presentation are due by April 15th 2019. You will receive a confirmation email once your abstract submission has been received. You will be informed on April 10th 2019 regarding the acceptance of your abstract. Accepted abstracts will be presented in the form of either an oral or a poster presentation. Please Note: If there are too many requests for oral presentations, we may request you present a poster. Presenters must be graduate students or post-doctoral fellows pursuing research in an area relating to rehabilitation science. Submitting an abstract does NOT register you to attend the colloquium. You MUST complete the separate registration process to be admitted to the conference. Please see our Registration tab above for details. Once accepted, please e-mail your presentations to rrcolloquium2019@gmail.com no later than Friday May 17th, 2019 at 5pm. We ask that presentations be made using MS PowerPoint; please contact us if this will be an issue for you. We will check presentations for errors in photo or video display so that these may be resolved prior to presentation day. One main computer will be used for all presentations for quick transitions between presenters; presenters will NOT be allowed to use their own computers for presentations. We will have to enforce the presentation time limit whether you are finished presenting your material or not, so we suggest you plan to present approximately one slide per minute. The working area for the display is 0.9 m (3 ft) high and 1.2 m (4 ft) wide. Poster set-up and take-down times will be provided closer to the day of the Colloquium. Poster presenters will be assigned a 5-minute time slot to present their poster to a judge. A poster competition will be conducted and awards will be given to both MSc and PhD levels for the best poster. Kingston is conveniently located within a few hours travel of Toronto, Montreal, and Ottawa. You can easily make your way via car, train, bus, or air to the Limestone City. Dorval Station: 5 minutes from the Montreal Airport. There is a free shuttle bus available between the airport and the Dorval Station. *Be advised accomodations may me limited due to Queen's convocation ceremonies. Please plan accomodations and parking accordingly. Please follow this link if you are interested in reserving an affordable room on Queen's campus. The Hochelaga Inn is offering discounts for conference attendees. This hotel is a historic inn that was established in 1875, and is a less than 10 minute walk from the conference venue. They are offering a discounted rate of $138/night. Please contact them and metnion RHBS when you reserve your room. There are plenty of other options in the downtown area as well to stay. Please let us know if you are having any difficulty finding accomodations. Jay Shaw is a Scientist at Women's College Hospital's Institute for Health System Solutions and Virtual Care, and Assistant Professor (Status) at the Institute of Health Policy, Management and Evaluation at University of Toronto. His research brings insights from the social sciences to key topics in health services and policy. 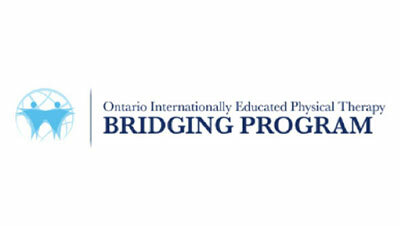 More specifically, he looks at how and why changes in health care are implemented in Canada and abroad. Jay has a particular interest in comparative health systems research to understand innovations in health policy and to identify strategies for the successful implementation of research and policy. Jay’s interdisciplinary research is currently focused on the implementation of health system innovations such as virtual care technologies and new models of integrated care. Jay is trained as a Physical Therapist. This talk will outline the current dimensions of health innovation in a global context, presenting a definition of "innovation" and the activities that are dominating attention in the effort to innovate in health systems in Canada and internationally. 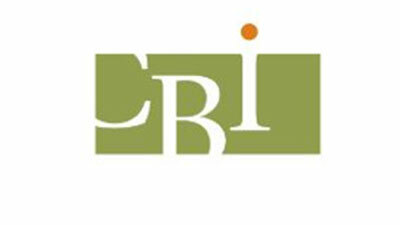 A commentary on the role of rehabilitation in informing health innovation, and the unique offerings of rehabilitation to the future of health systems, will be provided. Emerging critical perspectives on rehabilitation will then be described, and they will be brought to bear on the innovation discourse in health care. This talk will conclude by presenting three key challenges facing rehabilitation science in order to promote a positive future for health systems and population health more generally. 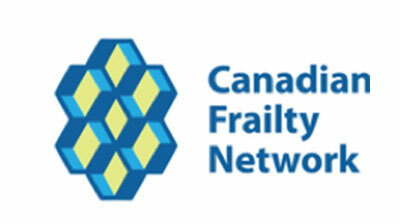 Post-Doctoral Research Fellow, Health Services & Policy Research Institute, Queen’s University; Adjunct Faculty, School of Rehabilitation Therapy, Queen’s University; Chair, Student & Post-Doc Engagement Committee, Canadian Institute for Military and Veteran Heath Research. Dr. Linna Tam-Seto is a Post-Doctoral Research Fellow with the Health Services & Policy Research Institute (HSPRI) at Queen’s University. Her post-doctoral work involves the development of the #HereU Military Version, mobile app to support the mental health and well-being of military member, Veterans, and their families. The #Here4U Military Version app is a multi-organization, multi-disciplinary project that includes Queen’s University HSPRI, Queen’s University Centre for Advanced Analytics, IBM Canada, the Canadian Institute for Military and Veteran Health Research, Department of National Defence, and the Canadian Armed Forces. Dr. Tam-Seto’s primary research area focuses on the health and well-being of military members, Veterans, and their family members including work on resiliency, mental health difficulties, access to health care services, and the identification and implementation of cultural competencies for health providers working with families. Her research interests have also expanded to understanding the military-to-civilian transition in servicewomen and ill/injured members as well as the health and well-being of Public Safety Personnel families. 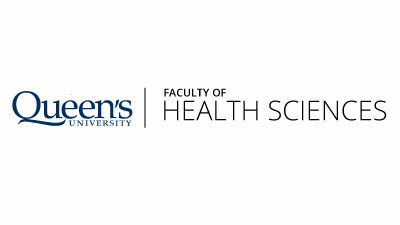 Dr. Tam-Seto teaches in the Master of Science in Occupational Therapy and Doctor of Science in Rehabilitation and Health Leadership programs in the School of Rehabilitation Therapy at Queen’s University. The same School, which she graduated from with an Occupational Therapy degree nearly 20 years ago. This lecture will provide an overview of the unique health needs of military members, Veterans, and their families and how research from a rehabilitation science perspective has been used to understand those health challenges and inform development of supports.